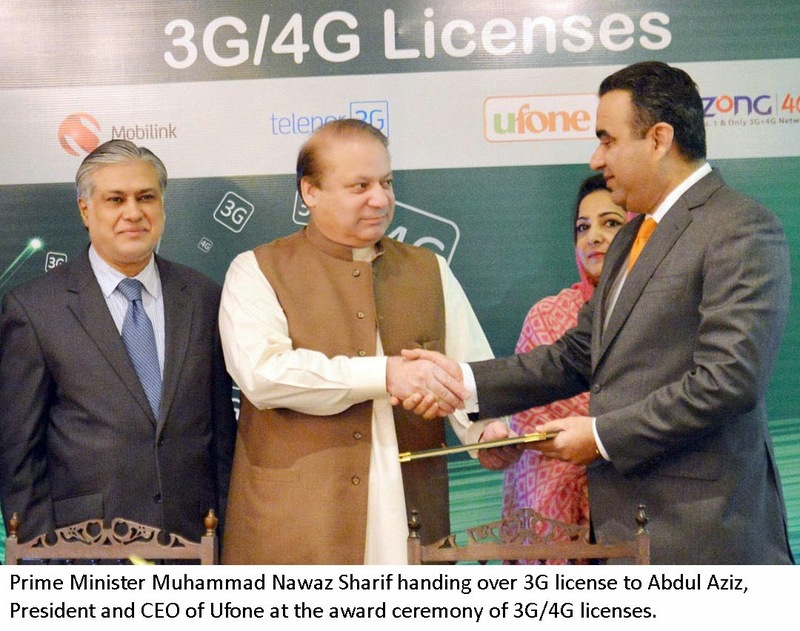 Ufone has become the the first cellular operator to commercially launch its 3G internet services in Pakistan on Friday 23-May-2014. Just a day after commercial launch of 3G service, on 24-May-2014, Ufone introduced its 3G packages. 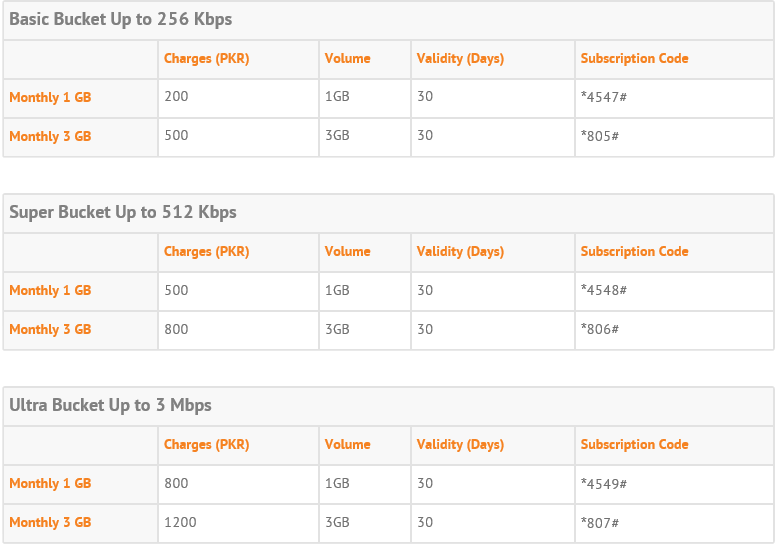 Ufone is offering different 3G internet speeds (starting from 256 Kbps to 3 Mbps) and capped with data limits (starting from 50-MB to 3-GB). Dial *7701# to de activate 3G on your Ufone connection. Instead of making and telling stories moving to Ufone 3G Packages. The default 3G Prepaid Internet Package is named as PAYG and the base tariff of 3G service is Rs.20 per MB with the FUP of 2OMB i.e. Customer will be charged for the first MB of the day and will get 19 MBs free, then again charged for 21st MB and will get 19 MBs free and so on. Throughput for the first 20MB will be 1-Mbps and then it will be throttled to 512 Kbps for the rest of the day. Dial *706# to check the remaining balance of the buckets. Free usage on FB, Whatsapp &Twitter. Fair Usage Policy of 100-MB applies on Social daily package. Fair Usage Policy of 1-GB applies on Social monthly package. Note:Please note that in case customer is using Mega Internet Bucket and Super / Mini Super Card simultaneously then usage against freebies will be charged from Super / Mini Super Card volume. After the consumption of bucket volume, charging will be done according to base PAYG tariff i.e Rs.20 per MB and next 19 MB will be free. How to Un-Subscribe 3G Packages ? Daily bucket is on auto-renewal, SMS UNSUB to 8804 to unsubscribe. Half day bucket is on auto-renewal, SMS UNSUB to 7810 to unsubscribe. What if your are out of 3G coverage area ? Subscriber who are not in 3G coverage area would only be able to subscribe to 256 kbps, and will get the lower speed of EDGE or GPRS. Use the same EDGE or GPRS settings for Ufone 3G Packages.